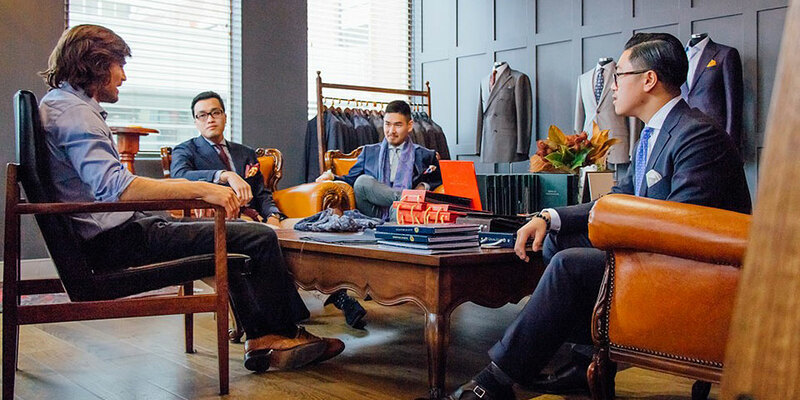 When investing in a good piece of clothing, you deserve to get what you’ve paid for. There’s nothing more disappointing than splurging on a high-end brand garment, only to find it doesn’t meet your expectations. "High-end brands do not necessarily equate to high quality garments." Unfortunately, if you want to own a garment branded with a designer label, you’ll pay for it – the label that is. Many of the high-end luxury stores survive on their brand status; their famous friends and fans. When you purchase from them, you’re buying into their “exclusive” club. If you want to own a garment that’s good value, then you can’t go past a quality tailoring house – there you’ll receive an item that’s literally made for you by a professional and passionate tailoring team. The latter option also boasts added convenience. When you buy an off-the-rack garment (designer brand or otherwise), you’ll get an item that’s your closest fit rather than your perfect fit. Therefore it can be rather time-consuming switching between stores, only to pay top dollar for something that’s not quite right. 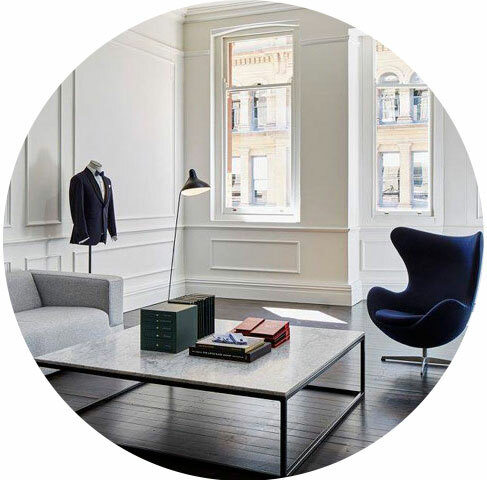 Another important consideration when deciding whether to buy from a high-end store or a tailoring house is the actual service you receive. The big brands have sales people to do one job – sell what’s available. A tailoring house on the other hand has a team who needs to listen, so they can then create and sell what it is you’re actually after. "Fundamentally, a label’s identity is the backbone of a designer brand while quality, convenience and service is what holds up a reputable tailoring house." If you're still deciding whether to buy from a designer store or a made-to-measure tailoring house, then we encourage you to give Oscar Hunt a try. At Oscar Hunt, you have access to a large selection of world-class fabrics in various patterns, weights, colours and compositions. Every garment is made specifically for each individual client, designed and fabricated with exquisite care, skill and attention to detail. There's extra emphasis placed on the old-world experience, which comes complete with tasty beverages made by the in-house bar staff. Get in touch with us today and book your obligation-free consultation.